Sherri accuses her mom, Betty, of lying to her throughout her life about the identity of her biological father. Sherri says she was led to believe the man who raised her was her father, but 16 years ago, she says she received a letter from an 11-year-old girl who said that she and Sherri were sisters and that their father was a man named Wayne. Sherri says she questioned her mother who denied the claim and refuses to discuss the matter. She maintains that to this day, her mom will not admit that Wayne is her father or that she had been in contact with Wayne during her childhood. In the video above, Wayne tells his story. And, Dr. Phil questions Betty about her behavior. 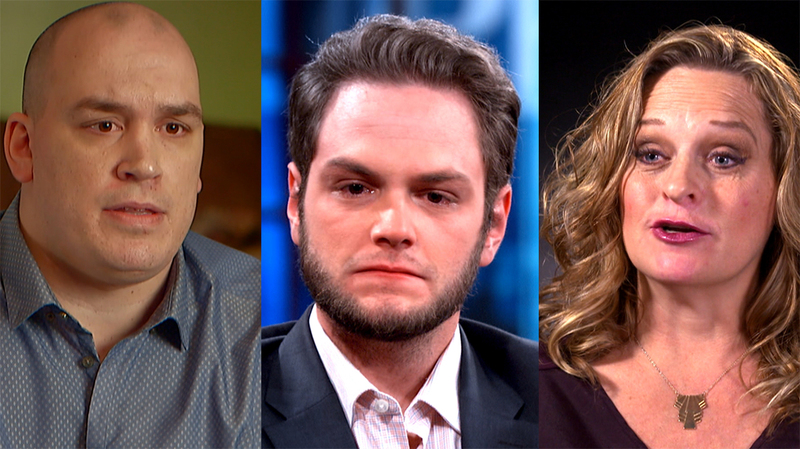 “It just seems that there is an overwhelming amount of evidence — not Sherri’s opinion, not Dana’s opinion, not Sarah’s opinion — but evidence by your own hand that you were corresponding with Wayne,” Dr. Phil says to Betty. Does Betty admit to communicating with Wayne throughout her daughter’s childhood? Check here to see where you can watch Thursday’s episode.